We are having a absolutely FAB summer, but I have to say, I am still missing hot, hot summer in Arkansas. I know that sounds crazy, but it just does not quite feel like summer without daily trips to the pool and constantly dripping of sweat. 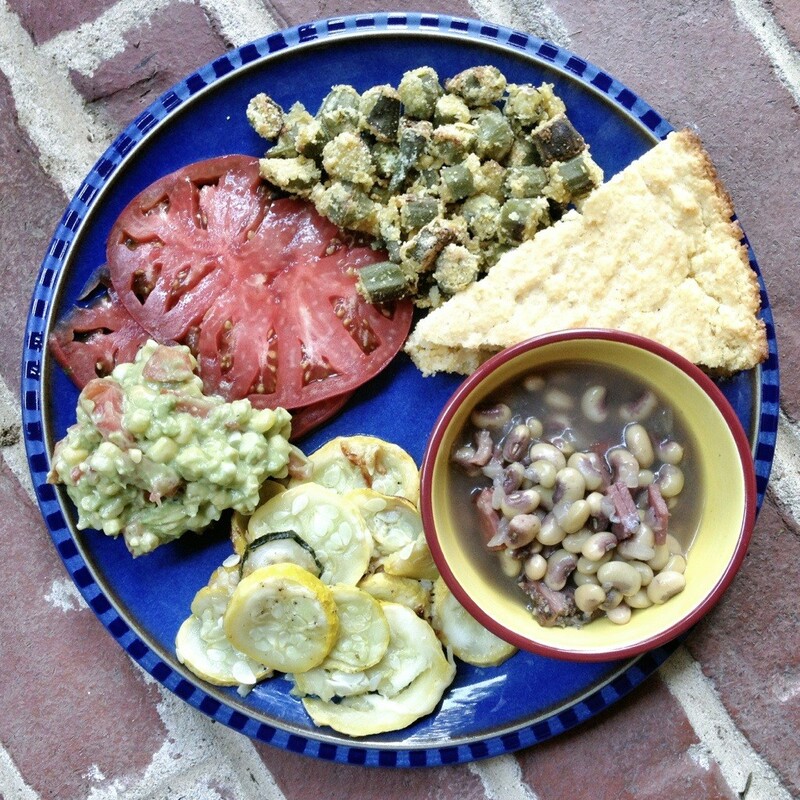 Other things I miss include Arkansas tomatoes, purple hull peas and okra! A plate full of foods that taste their very best when harvested in the hot Southern summer is something we would have regularly around my parents’ table. So if you find yourself with an overabundance of summer squash or juicy tomatoes, this menu is for you! You also might add a summer salad or two to fancy up this menu a bit.